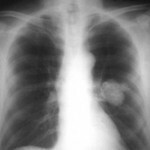 The Interstitial Lung Disease (ILD) also known as the Diffuse Parenchymal Lung Disease (DPLD) refers to a group of lung diseases affecting the interstitium (the tissue and space around the air sac of the lungs) . 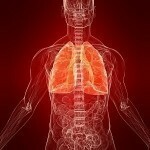 The term ILD is used to differentiate these diseases from the obstructive airways diseases. Most types of ILD involve fibrosis which now carries the new term know as Idiopathic Pulmonary fibrosis. Nonrespiratory symptoms such as myalgia, arthralgia, sclerodactyly. 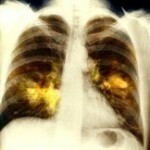 The Interstitial Lung Disease is caused by several inhaled substances. These inhaled substances are inorganic and may include Silicosis, Asbestosis, Bertylliosis. Another cause is the organic substances such as Hypersensitivity pneumonitis. Drug induced is another cause for the ILD virus, examples are antibiotics, Chemotherapeutic drugs and Antiarrhythmic agents. Connective tissue diseases such as systemic sclerosis, Polymyositis, Dermatomyositis, Systemic lupus erythematosus, Rheumatoid arthritis are also contributors to the Interstitial Lungs Disease. Infections such as atypical pneumonia, Pneumocysis Pneumonia (PCP) and Tuberculosis are seen as prone diseases which are deem to contribute to the spread of the diseases. Also Idiopathic such as Sarcoidosis, Idiopathic pulmonary fibrosis, and Hamman Rich Syndrome as well as the Malignancy known as Lymphangitic Carcinomatosis and patient with pneumocystis pneumonia are also known as leading contributors to the development of the disease. Oxygen Therapy – Because of the nature of the disease (hypoxemia is common in ILD, supplemental) oxygen therapy is often prescribed, although it has not been studied as extensively as in chronic obstructive pulmonary disease. However, Patients with ILD should have arterial oxygen saturation determined at rest and especially during exertion, because many patients with only mild disease desaturate with exertion despite normal saturation at rest. Pulmonary Rehabilitation Exercise Therapy – Pulmonary rehabilitation is important in building aerobic fitness, maintaining physical activity, and improving quality of life. We encourage all of our patients to enroll in outpatient pulmonary rehabilitation and to continue maintenance therapy. Vaccinations and Infection Avoidance – patients with ILD should receive a pneumococcal vaccine per the Centers for Disease Control and Prevention (CDC) guidelines and a yearly influenza virus vaccine. Additionally, we recommend that patients practice good hand hygiene (e.g., frequent hand washing). We do not recommend the use of masks or special antibacterial products. Patients treated with certain specific immunosuppressive regimens should receive Pneumocystis prophylaxis. Transplantation – Transplantation has been performed successfully in the management of most ILDs. Enthusiasm for the procedure is tempered by the significant risk of mortality at 1 year (10%-25%) and 5 years (50%-60%). 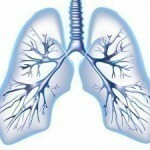 Many patients with ILD are older than the upper age limit of 65 years. Comorbidities such as gastro esophageal reflux disease, common in a number of ILDs, preclude lung transplantation due to the increased risk of chronic rejection and death.